Posted on 05/19/2014Would You Ride In A Driverless Car? Posted on 01/09/2014Are Self-Driving Cars Going to Take Over in 2035? Out of the 12 small cars tested for front crash safety by a U.S. safety group, only half managed to do well. Leading the evaluation results was the 2013 two- and four- door Civic, which both received “good.” General Motor Co’s Chevrolet Cruze and Sonic and Volkswagen AG’s Beetle earned marginal scores. Nissan Motor Co's Sentra, Kia Motors Corp’s Soul and 2014 Forte were graded “poor.” These results were released by the Insurance Institute for Highway Safety, a nonprofit research group funded by insurance companies. Just how powerful are these ratings? IIHS test results are influential as buyers usually consult them when deciding which car model to choose. Because of this, vehicle manufacturers in the U.S. market often engineer their models to fare well in the study. Positive ratings translate to good marketing opportunities. Negative scores hurt a company’s reputation. Even small flaws may represent chances for exploitation. Have the tests change over the years? The IIHS made the 2012 front crash test more stringent than it was in the past. Before, the majority of the 12 cars tested were already widely distributed. Spokesperson Russ Radar said that they notified companies about the small overlap research the group was working on in 2009. How did this affect car manufacturers? GM stressed that they put customer safety first and stressed commitment to producing cars that perform well in all types of crashes. Meanwhile, Kia said they would study the results carefully, and they are proud of their safety record. They also acknowledged that the IIHS small overlap crash test goes well beyond federal requirements and that several Kia models were deemed top safety picks. Volkswagen and Nissan were also proud of their car’s safety record but said they would review the small overlap test results so they can integrate lessons they are to learn on their next designs. 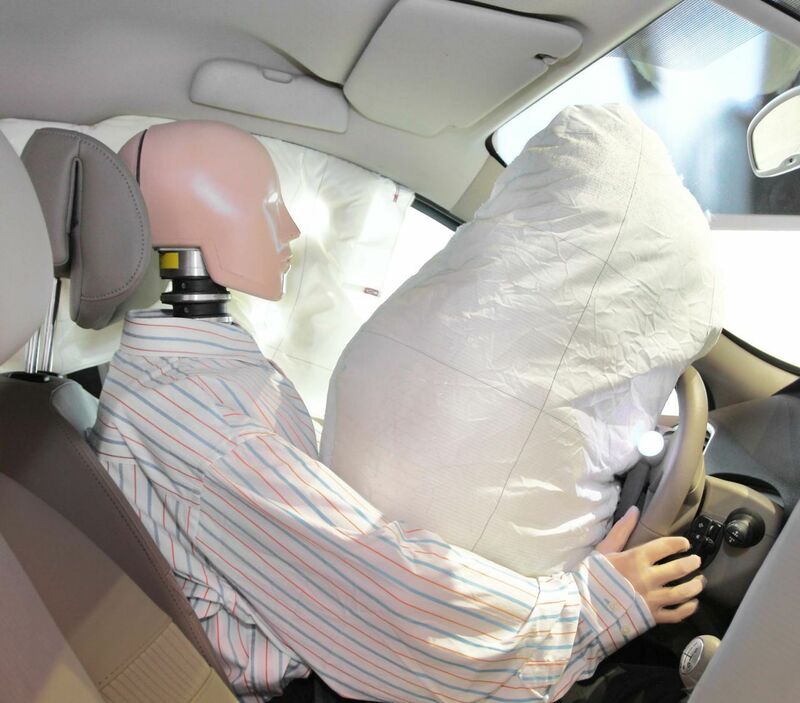 During the tests, IIHS crashes a car at 40 mph into a five-foot-high barrier on the driver’s side. The goal is to simulate a collision with a tree or utility pole. Demerits are then given when the crash dummy suffers injuries or when the structure intrudes into the passenger compartment. The group also examines seat belt and airbag performance. The highest rating is “good,” followed by “acceptable,” then “marginal” and the lowest is “poor.” According to Autodata Corp, in 2013, Americans have bought over 1.8 million small cars which is 12% higher than in 2012. Related: What is the Statute of Limitations in Kentucky Accident Cases? As a Kentucky Accident Attorney, I suggest you look at the IIHS' research. It's not just to secure your hard-earned money, but also for your loved ones’ safety. It's important to always to research on a car before you buy one. That way you can purchase one that has the safety features you want, is good on gas and is in your price range. You will also know which ones do well in safety test like the front crash test.